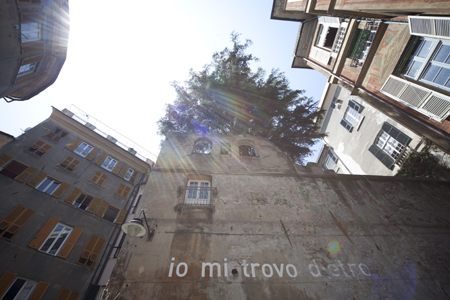 From the luxury buildings in Via Garibaldi, walk down along Vico del Ferro and reach the square of the same name: “Io sono dietro” (I am behind), says writing on the wall by German artist Ines Tartler. Just like the edge and the infinite, like the other half which collapses beyond the horizon or the slope beyond the top… which side are you looking at? From the ancient Piazza del Ferro you can go down along Via dei Macelli di Soziglia, a typical Genoese caruggio where fruit, vegetables and meat are sold. Tradition has not been totally lost… In ancient times the Rialto torrent flowed here. Due to the presence of water, the city’s abattoir was also here. You will get to Piazza Soziglia, devoted to the city’s market until the 17th century. In the 1700’s it became a social hub with the city’s most crowded cafés and sweet shops, rich with all kinds of goods coming on the ships from Asia and America. If you take Vico Lavagna you will be in piazza Lavagna where the earth mirrors the sky, a space of tall buildings and clothes on washing lines, the widest passage in the historic centre, a sort of courtyard where people communicate from their windows. From Piazza Lavagna go up to Via della Maddalena along Vico Lavagna. At Maddalena the “Merlin law”, which declared that brothels were illegal, ishardly applied… an authentic slice of Genoese life full of charm. The ladies observe you for a few seconds: who knows what they have understood about you. The quick wink is a flower shot by a cannon in the moment when eyes meet. 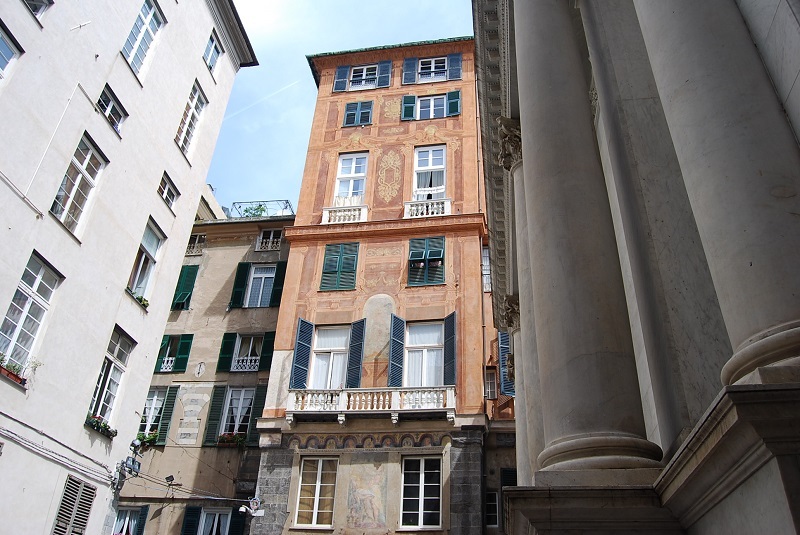 It all takes place close to the City Hall and the noble Via Garibaldi full of luxury and museums. 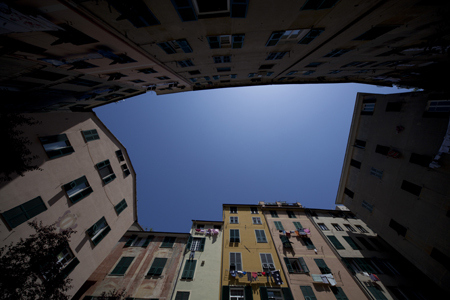 Genoa Old City is rife with these sharp contrasts the balance of which has been hanging on a thread for centuries. They show no sign of decline… and I am their fan. Go down along Vico del Teatro delle Vigne, piazza delle Vigne is one of the old town’s most charming openings. The large windows of the noble apartments overlook the bell tower which cannot be seen from the square. It is a gathering place for the Genoese living in the historic centre who consider the Vigne as a reference point. They know they do not need to schedule an appointment. They only have to stop for a few minutes to meet up, just like in a village square. At the Vigne you will find the old city’s artists sat at tables, the lunatic pensioners and thinkers among cups of coffee and tea, glasses of wine, beer, Genoese dialect and typical grumbling … Every day dreams and plans are generated, the majority of which will never be fulfilled. If you have time – and you have it – stop at the Vigne, as the condition that dignifies man is that of having nothing to do. In order to reach Via San Luca from Piazza delle Vigne you can go down to Piazza Banchi along Via delle Vigne or cut the journey short by taking Vico Spinola and Vico della Torre. Via San Luca is crossed by people speaking loudly on the phone or with others. Some carry a bag and wear a tie, others wear sandals and have dreadlocks. Those who walk with their head down will look like strangers, unhappy and distant. 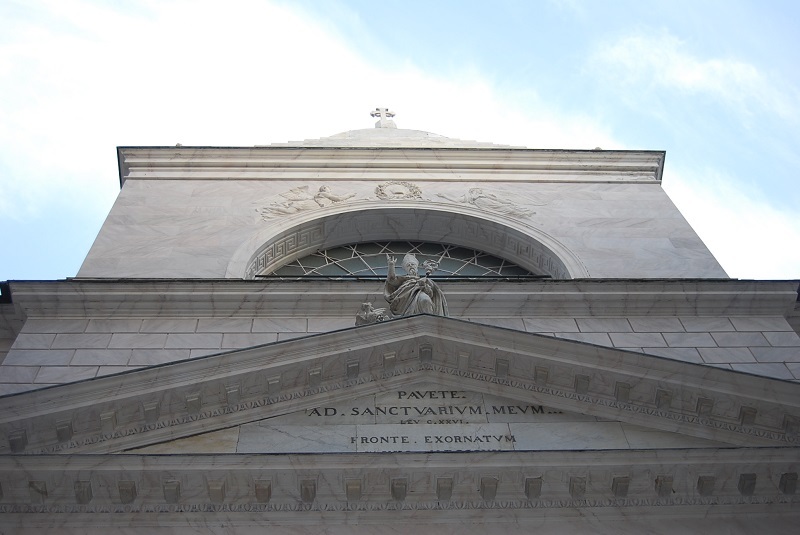 Reach the San Siro church and the alley of the same name and you will be in Piazza della Meridiana, then turn left into Via Cairoli. The ancient road leads to Largo della Zecca. Cross the road and take Via Vallechiara. The uphill road will lead you to the magical Carmine suburb, the hidden corner of the old town, perched on the back of the Castelletto hill. The small, though thick, network of roads is there to give you the opportunity of walking without knowing where to go. You will discover Piazza San Bartolomeo all’Olivella and Piazza della Giuggiola. You will reach one of those corners that Genoa does not want to show. You will violate its privacy while you are surrounded by silence. It really is a stroke of magic which you will carry with you for a long time. And do not forget that you are in the city centre.